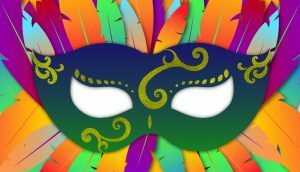 You are formally and fantastically invited to our Masquerade Unmasked, a night of celebrating your most authentically awesome self! Sample savory local food. Enjoy unique entertainment. Try the signature cocktail or another concoction from the cash bar. Bid on masks created and donated by local artists. The funds raised support Mosaic’s mission of providing comprehensive, compassionate and affordable full scope family medicine and whole person care for EVERYONE. Grab your funky formal attire, your authentic self, and prepare for an unparalleled time on the stage of the downtown Goshen Theater! One signature cocktail included with each ticket. Tickets are $35 and must be purchased by Monday, January 28, 2019.